I am drawn to all things miniature and small in size. When I found out our Oriental Trading craft supply this month would be small 4″ square Canvases, I was thrilled about the possibilities. 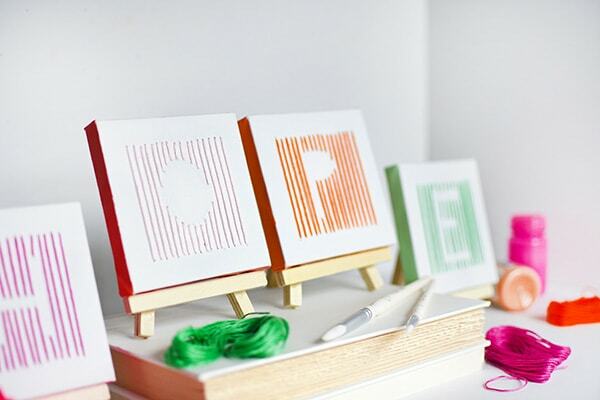 Today I am sharing how to use a simple technique to create Colorful Embroidered DIY Canvas. Canvases are such versatile products. I love that you can group them together to create a bigger shape for a larger impact or use them individually. 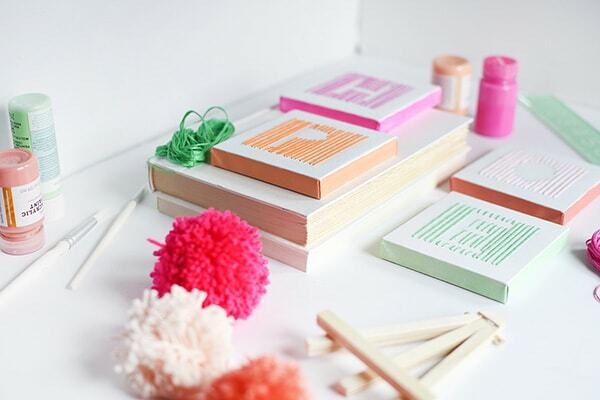 Then mix in fun cheery colors of paint and embroidered string and the options for your design or word are simply endless! I wrote out the word, HOPE but you could create patterns or shapes, too. To see the full step by step tutorial for this colorful bracelet, head to Oriental Trading’s blog. 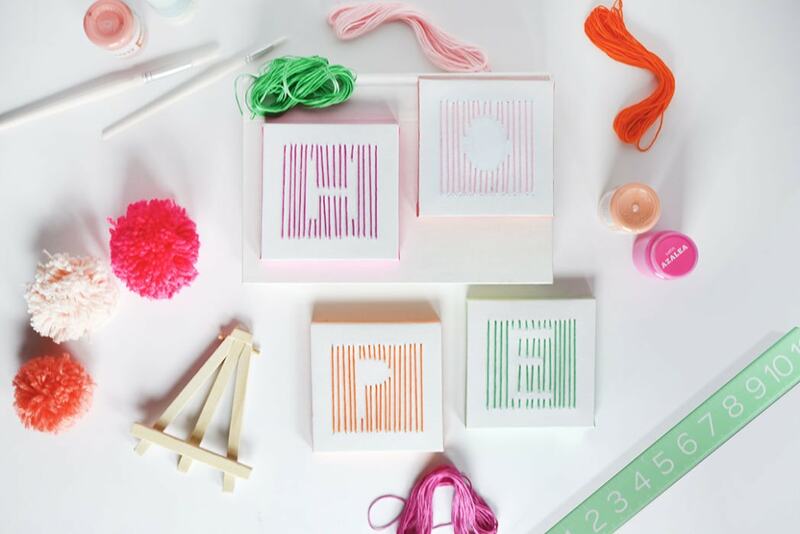 Carrie from Dream Green DIY created these DIY Mini Abstract Art Canvases. 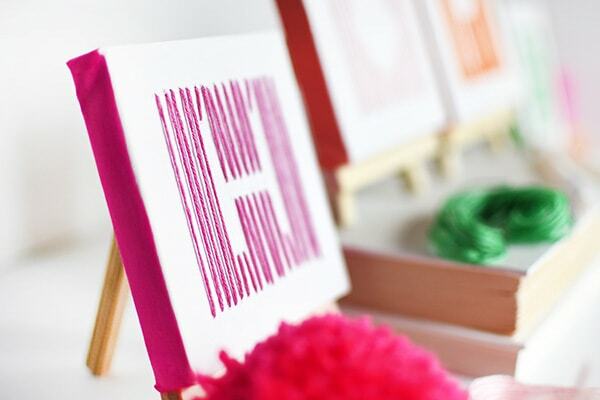 Haley from Design Improvised created Monogram Canvas Art with Stencils. Sara + Melissa from Alice and Lois made Favorite State Canvas Art DIY this month. 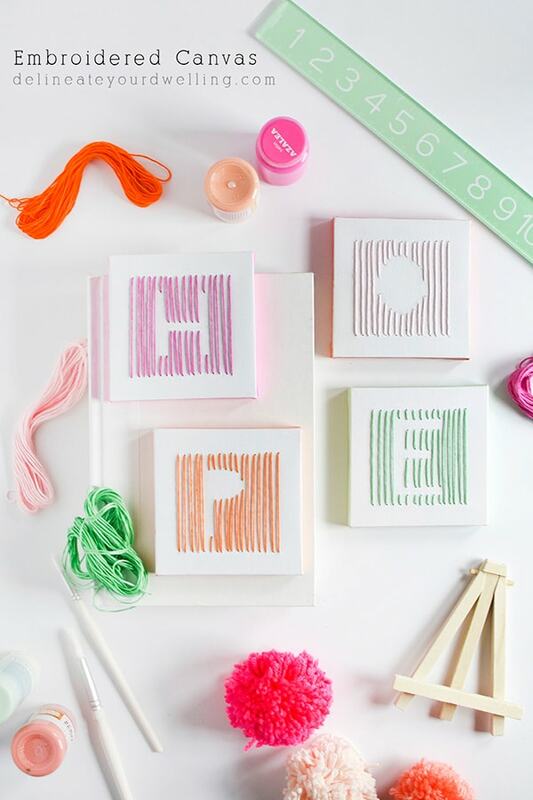 This is genius Amy – I never would have thought to use mini canvases this way. I’d love to do this for the nursery once our bub is born, it’d be super cute with her name written on them! Thanks so much, Stephanie! I think it would equally amazing to do a HUGE canvas with this technique! 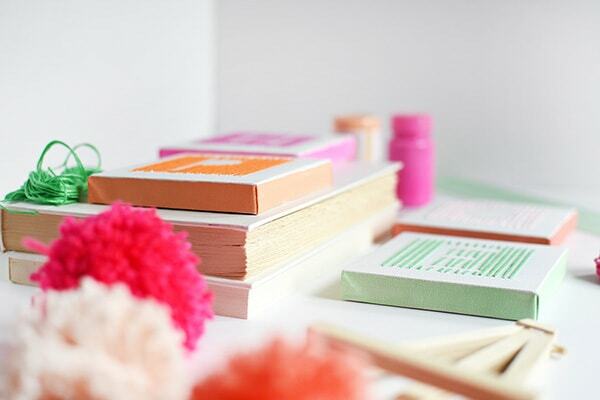 Such a great idea and I love the colors you used! Thanks so much, Carrie! I have visions of doing this on a huge scale for my living room.